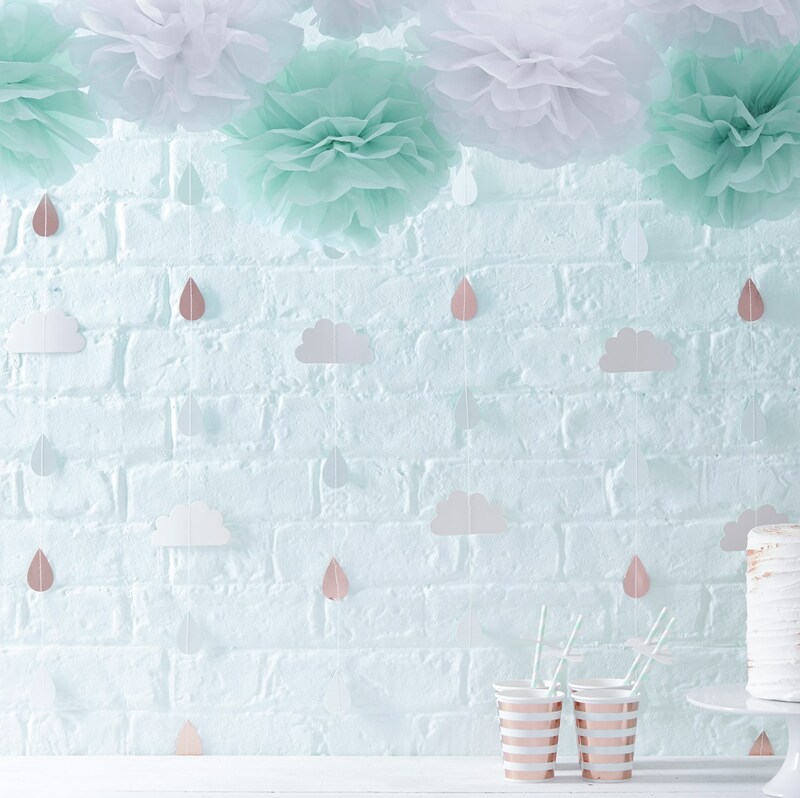 Create the perfect Baby Shower set-up with this gender neutral cute mint green and rose gold Raindrop Backdrop. Use the trendy backdrop to create a classy celebration to welcome your beautiful baby into the world! Hang the gorgeous raindrop backdrop alongside the Hello World Pom Poms to create a chic celebration. Each pack contains 6x Raindrop Backdrops. Each backdrop measures: 2m length. Please note this does not include the Hello World Pom Poms, which are sold separately.